When you think about ‘beautiful design’ it’s easy to imagine it in a physical, visual sense: the latest must-have smart phone, a classic car, iconic brand identity or anything that epitomises Danish furniture design from the 1950s. These designs work not just because they are aesthetically pleasing, but because they solve problems elegantly, are easy to use and connect with people emotionally. In this way, services should be beautifully designed too. Not just from a ‘look good, feel good’ perspective, but because beautiful services are more desirable to use therefore worth more to customers, they’re also more cost effective to operate because they elegantly use corporate resources in a really efficient manner. The bottom line is that beautiful services cost less to operate, earn more from their customers and are cheaper to market because their reputation precedes them. 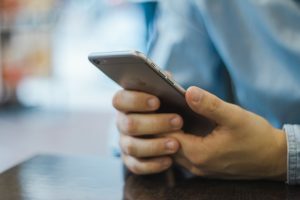 Pretty much every service in terms of its core functionality, pricing and the businesses processes that customers encounter can be copied. The thing that can’t be copied is the emotional connection and legacy of positive experiences customers have built up with the service over multiple interactions. This emotional connection can be orchestrated. The environment and manner the service is delivered in can add an air of exclusivity or reassurance. Personalisation can make customers feel appreciated (isn’t that sad to read, why wouldn’t customers feel appreciated? But they seldom are). Speed and reliability build trust, and feedback loops and dialogue build relationships and investment in the service from customers. Novelty and originality are key too; they’re things that people find attractive, and humans are hard wired to notice things that are different. If – by design – you can rewire customer pain-points into novel experiences that are pleasurable (or at least less-painful) people will remember and talk about them with other potential customers. Likewise getting ahead of the curve of human expectation is critical, using insight, intuition and creativity to imagine things that people hadn’t yet realised they wanted is an ultimate expression of beautiful service design. Thinking of food, services like OpenTable – encouraging us to eat out – and, UberEATS – encouraging us to eat in – are pulling at different ends of our time-pressed lifestyles but using technology to add a level of speed and personalisation that feels spot-on for now. Beautifully designed services go way beyond appearances. In fact, services being largely intangible, their appearance is just one of many things that need to be right. Functionality, usability, originality, channel integration and orchestration are all key. It’s about the details that add up to effortless experiences. Understand in detail what your services are made of. A beautifully designed service is made up of many moving parts that work seamlessly together without the customer, or service staff, realising it. 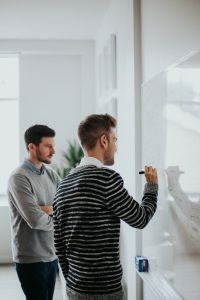 Having an awareness of the parts, how they’re connected and how they work together will give you a greater understanding of the metrics or performance thresholds you need to monitor in order to measure its effectiveness. Fine-tune your ability to communicate what good feels like. 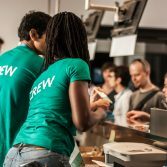 Experiencing services as a regular consumer is something that you may need to consciously do when you work professionally in the service industry. It’s not easy, but it’s a useful skill to develop to help you to discover elements of great services that might work for your own business. Regularly stopping to recall your own feelings about service experiences will help you to detect the emotional connections that linger long after the experience has ended. Businesses can be highly data-led, which suppresses instinct or common sense when it comes to assessing risk. If you’re creating a service for humans, your own human existence is extremely valid in connecting to what other humans value and enjoy. We’re not suggesting that you shouldn’t use good customer insights, what we’re saying is that at some level we are all the same so design for humans and the positive emotions you are trying to create. Be prepared to defend the beauty spots. When budget or resource put restrictions on getting a service to market, there can be pressure to cut corners, but it’s important to avoid stripping out the beauty spots that make your service beautiful. These are the things that will delight customers, get them talking about it to their friends and coming back for more. Distinctiveness, originality, usability and how it expresses or enhances your brand are all things to note here. You may need to argue the case internally for them to be designed into your service to put it on the strongest possible path to success. 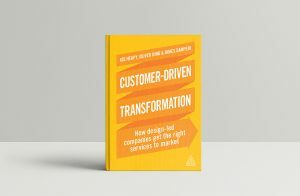 You can order your copy of Customer-Driven Transformation: How design-led companies get the right services to market from Kogan Page. Engine Service Design create remarkable services and customer experiences and work with organisations to deliver and sustain them. Engine believe that new or improved services and experiences require change, and they start by reimagining the products and services you should provide, and then help you reorganise to deliver them.